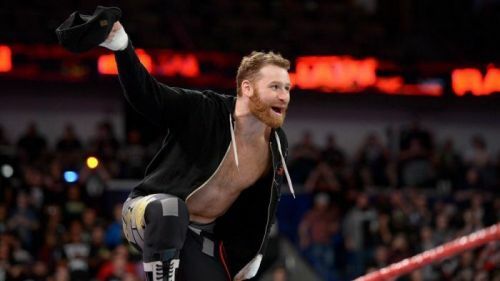 As reported earlier, Sami Zayn is ready to make his return to WWE TV soon and he could be in line for a tantalizing WrestleMania 35 program. On the latest edition of the Barnburner's On The Mat wrestling show, Joe Peisich revealed that he'd heard rumors of WWE planning on having Zayn come back to face Mustafa Ali at the Show of Shows. The Underdog from the Underground has been sidelined with a double rotator cuff and shoulder injury since June 2018 and even underwent surgery to get himself back into optimum shape. The first teaser of his return was released on December 17th, 2018 on Raw but the former NXT Champion has still not appeared ever since the announcement. His best friend Kevin Owens recently got back to SmackDown and was handed a WWE title shot against Daniel Bryan at Fastlane. It was previously rumored that the WWE was trying to come up a noteworthy angle to reintroduce Zayn to the WWE Universe and it seems they may have finally found the perfect opponent for El Generico. Mustafa Ali himself was off television owing to a concussion he suffered during a live event in February. He subsequently lost his spot in Elimination Chamber match and the push that was reserved for him was instead given to Kofi Kingston. Ali returned on the most recent episode of SmackDown Live by running in to save Owens from a 2-on-1 beatdown at the hands of Erick Rowan and Daniel Bryan. Off course it will be off the charts! Now it should be noted that nothing is set in stone but WWE is toying with the idea. Ali and Zayn have the potential to put on one of the best matches on the card if given the time and it does seem like a solid idea on paper. Ali is still relevant as he was booked to be a part of the main storyline on SmackDown this week. While he may not be anywhere near the WWE title at 'Mania due to Kofimania, a match with Zayn sounds absolutely amazing.